My second novel is a tale of lust, love and chocolate. Find out more here . . .
Amber Salpone doesn’t mean to keep ending up in bed with her friend Greg Walterson, but she can’t help herself. And every time it ‘just happens’ their secret affair moves closer to being a real relationship, which is a big problem when he’s a womaniser and she’s a commitment-phobe. While Amber struggles to accept her new feelings for Greg, she also realises that her closeness to Jen, her best friend, is slipping away and the two of them are becoming virtual strangers. Slowly but surely, as the stark truths of all their lives are revealed, Amber has to confront the fact that chocolate can’t cure everything and sometimes running away isn’t an option . . . 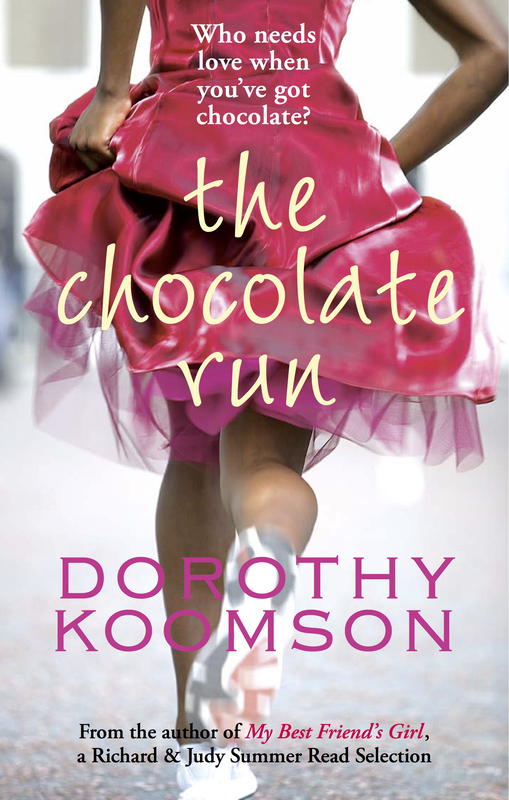 The Chocolate Run is a delectable tale of lust, love and chocolate. The Chocolate Run is very different from my first novel, The Cupid Effect. With it, I wanted to create a character who is essentially a good, big-hearted person but has real problems with intimacy and trust, which makes her keep everyone – be they friends, family or lovers – at a distance. Although Amber and I both love the same favourite chocolate and both watch a lot of films – we’re not the same person. . . Amber leads a far more exciting life than I do!